Logan Nelson of Legacy Christian Academy leads a group of runners down a trail, Saturday, Oct. 6 at the Legacy Christian Cross Country Invitational, in Xenia. Nelson finished 156th out of 287 runners in the boys high school field. 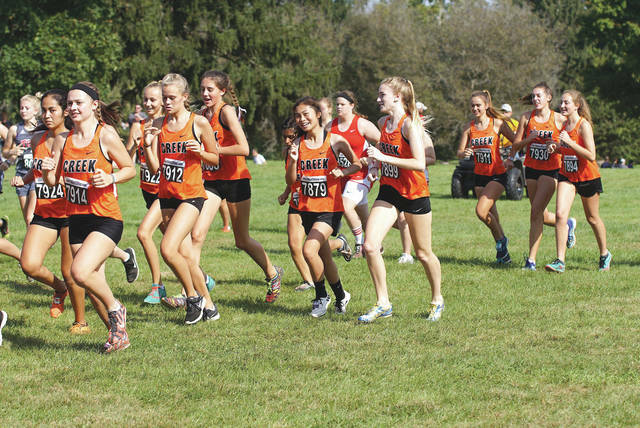 The Beavercreek girls cross country team won the Legacy Christian Cross County Invitational meet, Oct. 6 in Xenia. Lanie Pratt (not pictured) led the way, finishing fifth among the runners with full teams in the girls high school event. 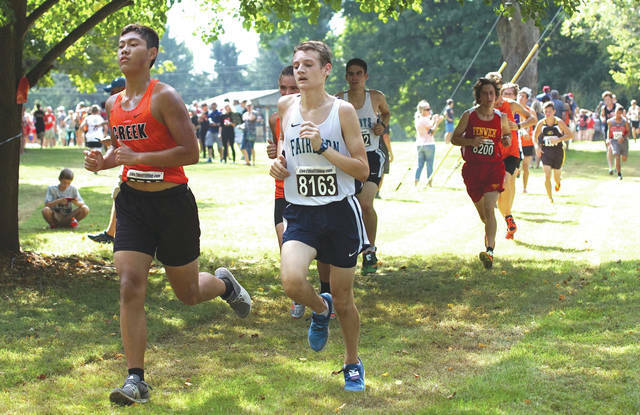 Area boys runners from Beavercreek, Fairborn and host Legacy Christian competed in the annual Legacy Christian Cross Country Invitational on Saturday, Oct. 6. 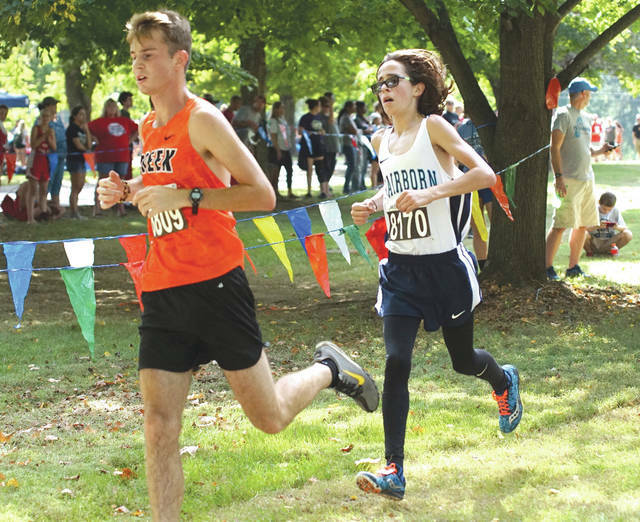 Beavercreek placed third in the 23-team boys field. 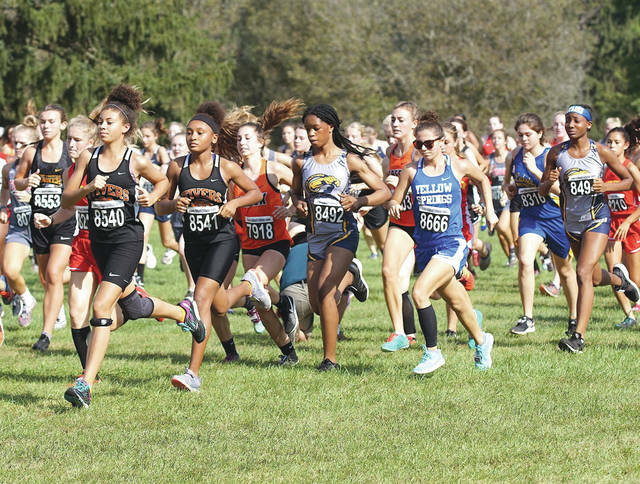 Local girls runners from Beavercreek, Yellow Springs and Fairborn competed in the Legacy Christian Invitational Cross Country meet, Oct. 6 in Xenia. 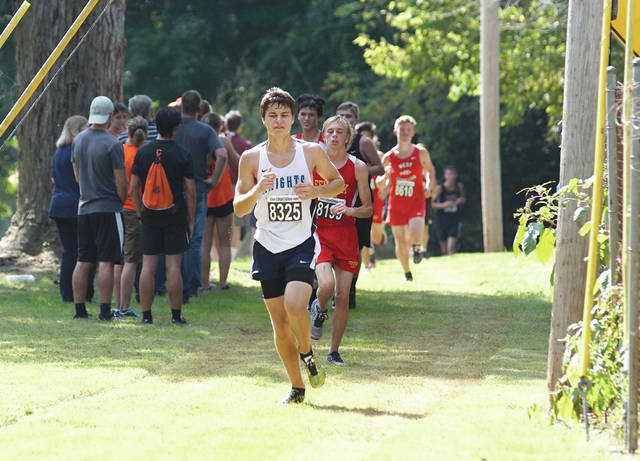 Fairborn’s Sam Lingerfelt (8170) follows Thomas Hamilton of Beavercreek, during the boys high school cross country race, Oct. 6 on the Legacy Christian Academy grounds in Xenia. Miami Trace won the boys team title. 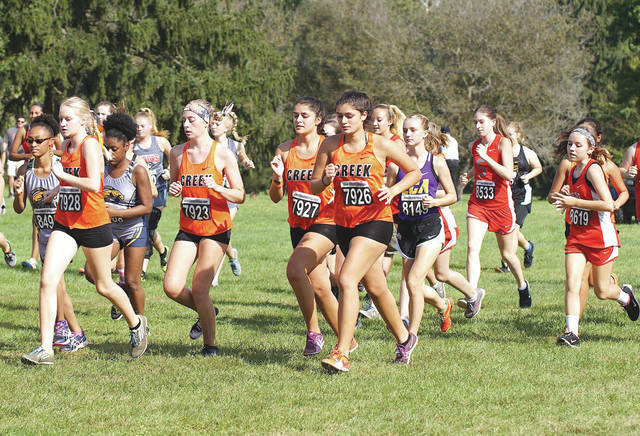 Beavercreek had the largest girls contingent of runners at the Legacy Christian Cross Country Invitational, with more than 40 competitors in the girls event, Oct. 6 in Xenia.